Do visitors to your site browse, but delay taking the action you need them to take? Are you looking for a new strategy to encourage your existing traffic to make a purchase? In this case study, we’ll discover how Cracku increased conversions 300% by creating urgency in their campaigns using OptinMonster’s countdown timers. Maruti Konduri from Cracku talked with us about how they’re using OptinMonster to convert visitors. 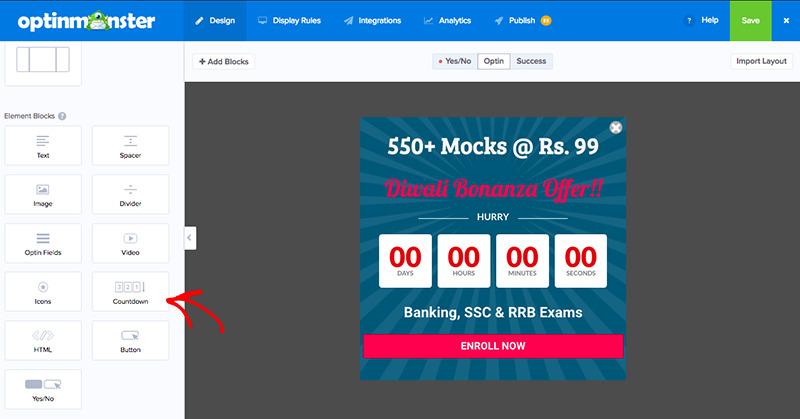 Before using OptinMonster, Cracku tried several different options to encourage visitors to enroll in a course. They used other lead generation plugins for WordPress, but found them difficult to use and were frustrated by how slow the plugins made their site. When those options didn’t work, Maruti even resorted to coding their own campaigns in-house! While that solved one problem, it created another. Maruti felt those campaigns were annoying to visitors because the timing and triggers were too limited. When bounce rates increased, as a result, Maruti knew they needed to transition to a more complete solution. They needed reliable, easy-to-use software that would allow them to focus on crafting and launching offers, instead of getting tripped up by the technology they used to do it. 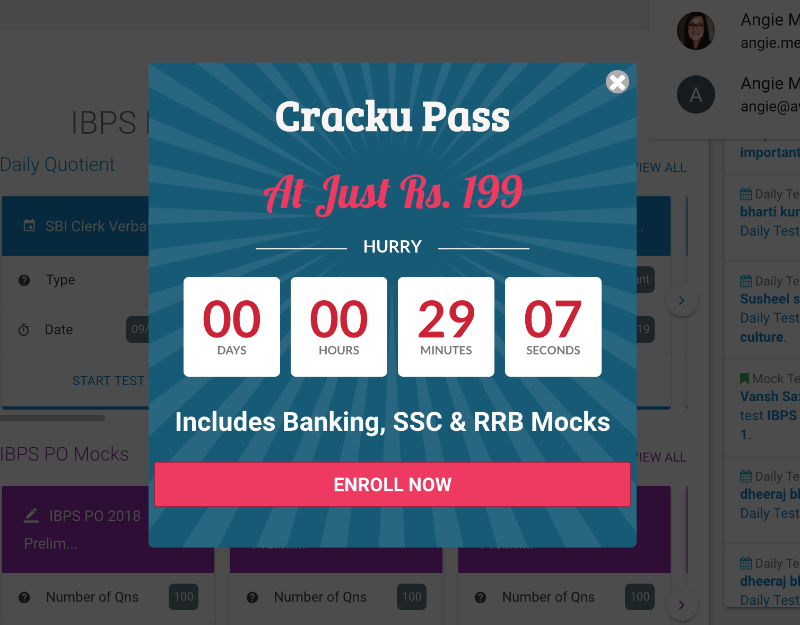 Cracku periodically offers a discount on their most popular courses. To encourage visitors to register for those courses, they displayed the discount in a lightbox campaign along with a countdown timer. The countdown timer reminds the visitor that this offer will not be available forever, so they need to take action now. The offer itself is only available for specific courses: Banking, SSC, and RRB. Maruti wanted to ensure the campaign only displayed to visitors interested in those courses. Using OptinMonster’s powerful display rules, he targeted the campaign to appear only on pages where the URL contained the terms sbi, ibps, or banking. This campaign converted 4.29% of visitors. 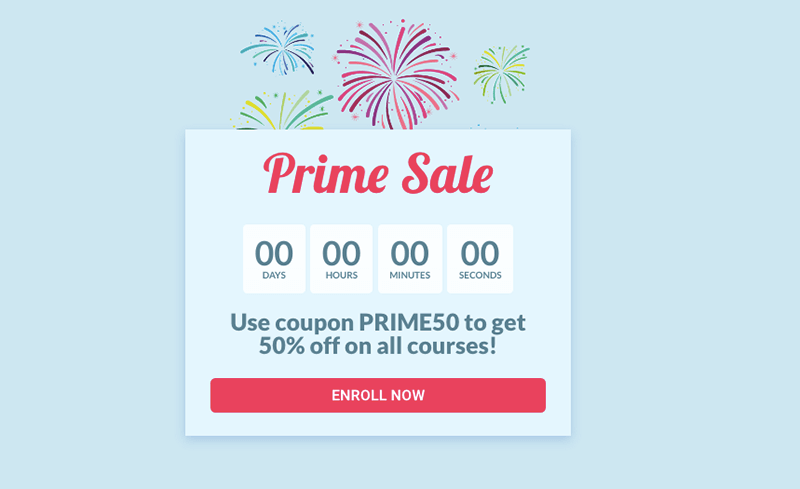 Cracku also used the countdown popup in a fullscreen welcome mat to offer 50% off any course. Visitors had to act quickly! When the timer ran out, the campaign no longer appeared. Cracku converted 3.50% of all visitors with this simple countdown timer campaign. Cracku isn’t the only OptinMonster customer using countdown timers. LiferLMS added $23,600 in sales using a countdown timer campaign. Cracku converted 4.29% of visitors using a lightbox campaign. Cracku converted 3.50% of visitors into sales using a fullscreen welcome mat. Cracku increased total conversions 300% using OptinMonster campaigns with countdown timers. By presenting targeted offers to the right audience with urgency, Cracku successfully shared their promotions without annoying customers. OptinMonster is one of the best tools for digital marketing available. We increased conversions 300% using OptinMonster. It also helped decrease our bounce rate because the popups were seamless and slick.